I hope you all had a great, restful, fun, and safe thanksgiving holiday. 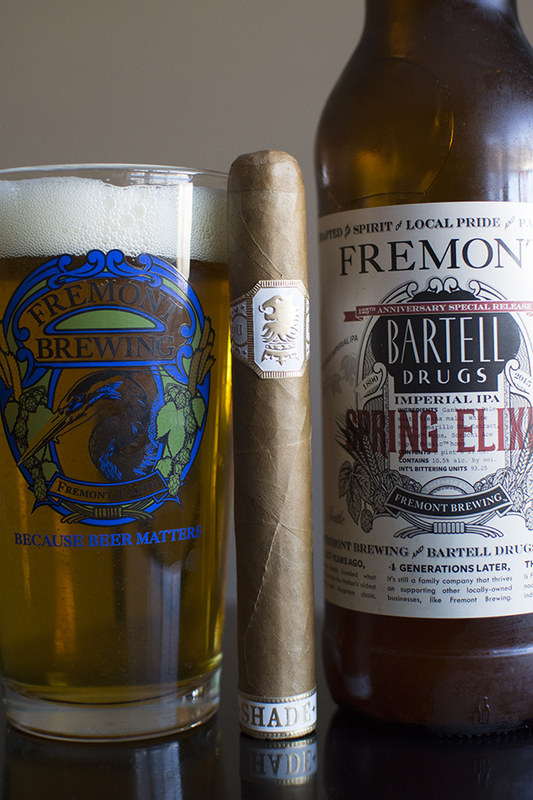 To end the week, I head into my back yard with a Drew Estate Undercrown Shade and a bottle of Fremont’s Spring Elixir. Year after year Drew Estate has kicked out solid release after solid release. This year, the company decided to take a bit of a different approach by taking the ever-popular Undercrown and adding a no-so-popular wrapper on it, thus the Undercrown shade was born. 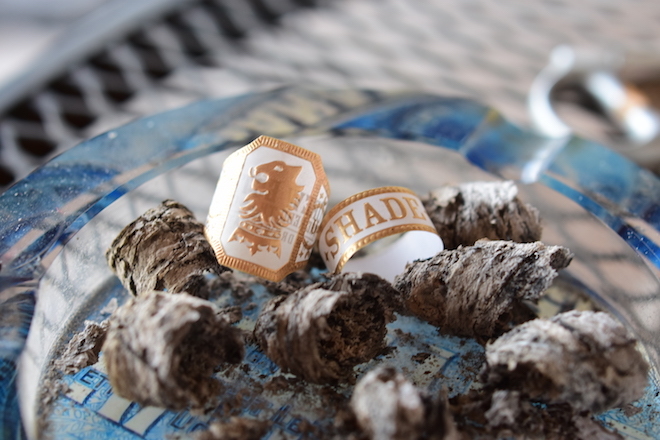 The Undercrown Shade is amongst a slew of premium cigars to hit the market lately using a Connecticut Shade wrapper. While I wasn’t a big fan of this movement some time ago, I, as well as many others out there have really come to appreciate all that Connecticut Shade has to offer. The fact that this was blended under the skillful eye of master blender Willy Herrera only adds to the excitement as he’s produced some of the best blends I have ever smoked. 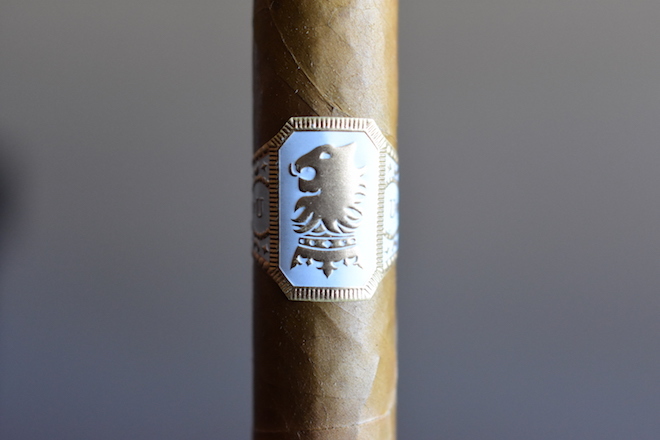 While the name may suggest that Drew Estate simply took the existing Undercrown and added a new wrapper, that’s not the case. 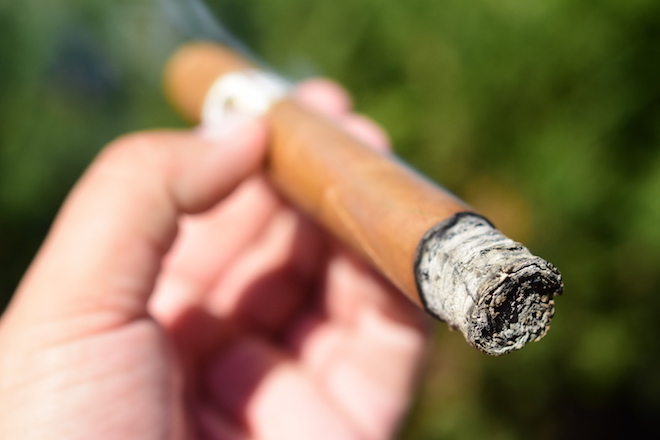 The cigar was reblended with the wrapper in mind starting with the Ecuadorian Connecticut Shade wrapper, Sumatran binder, and Dominican Criollo 98, Nicaraguan Criollo, and Nicaraguan Corojo fillers. It’s easy to see that the two cigars are very different beasts. The Undercrown shade comes in six sizes: Belicoso (6 x 52), Corona Doble (7 x 54), Corona (5 5/8 x 46), Gordito (6 x 60), Gran Toro (6 x 52), and the Robusto (5 x 54). Each size comes packed in boxes of 25 and runs between $7.50 and $9.95 a stick. Big thanks to Drew Estate and crew for sending these our way. 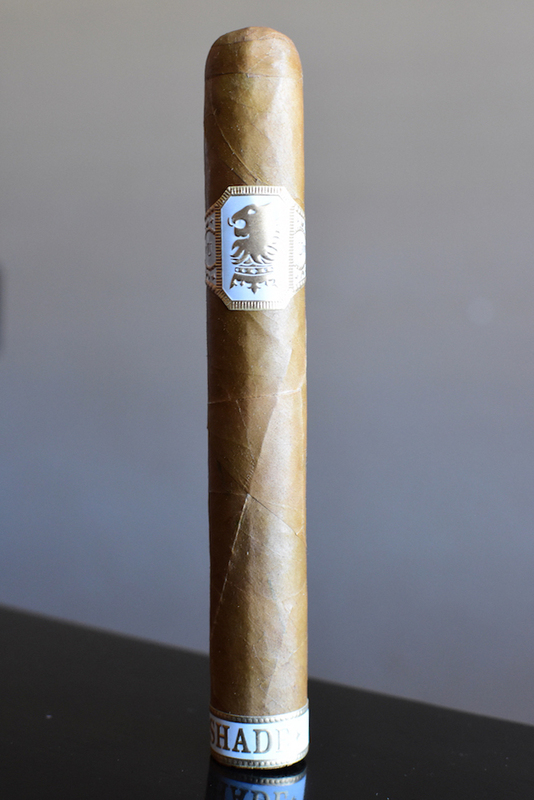 The Drew Estate Undercrown Shade starts with an absolutely stunning, consistent medium to very light brown wrapper. Like many cigars produced by Drew Estate the wrapper is absolutely soaked in thick oil. The texture on the wrapper is silky smooth with little to no tooth, and many smaller veins running their course through the cigar’s body. 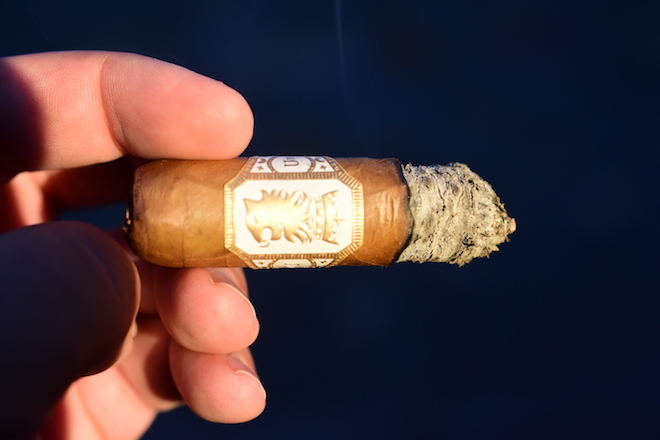 The wrapper on the Undercrown Shade is very thin, and delicate while the cigar itself is actually packed very tightly resulting in a good amount of weight, and no soft spots through the cigar. There is some very slight yellow areas scatters throughout the natural webbing in the wrapper leaf which lead up to a beautifully round double cap. The Undercrown Shade is polished off with the standard Undercrown band except the blue is replaced with white making for a very elegant feel and they have added a foot band that simply states “Shade”. You know, just in case you somehow get these mixed up with your standard Undercrown blends. Kidding aside, I really like the look of the packaging on these. The wrapper on the Undercrown shade gives off a very bold cedar aroma while the foot of the cigar carries some sweetness, honey, and spice. The cap cut very clean and easily using my Palio double bladed cutter. The cold draw exhibits a bit of tartness, honey, soft sweetness, and natural earthy flavors. The Undercrown Shade stats out with a nice little black pepper punch that I wasn’t expecting. After a few puffs this reduces in power as some strong cedar, honey, sweetness, cashew, and earthiness come to the forefront. There is a little bit of pine that keeps poking through every few puffs or so as well. The draw is absolutely perfect on the Undercrown Shade. Each tiny little puff kicks out massive clouds of very thick, white smoke which linger around for quite some time. 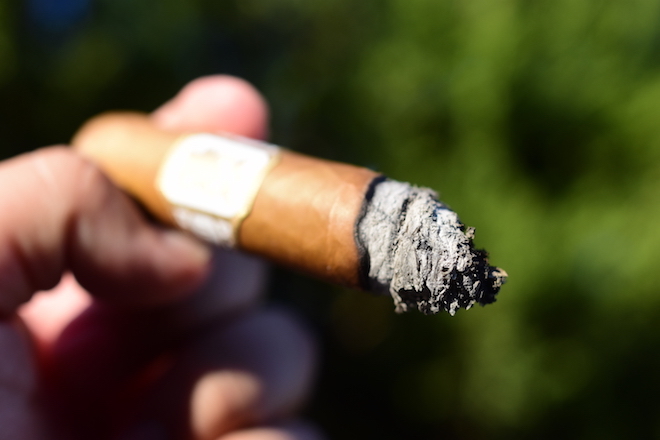 The burn line is razor thin, and dead even leaving behind a beautiful trail of thick, white, tightly compacted ash which held on for an inch before falling into my ashtray. While the first third of the Undercrown Shade lingered in the mild/medium category, the body has started to amp up a bit into the second third landing it in the solid medium area. 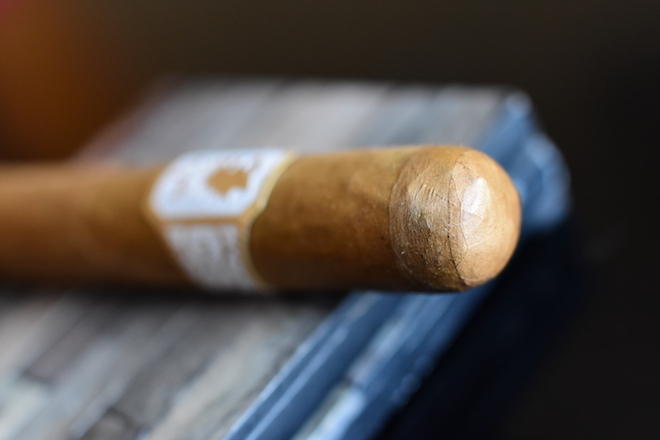 The flavors are still pretty bold for a Connecticut Shade cigar leading with the honey, cedar, and cashew backed by some slight coffee, earthiness, and spice. The retrohale coats my nasal passage with some great cedar, spice, and dare I say it gingerbread? Whatever, it’s good and I find myself going back to the retrohale often. The draw is still perfect, while the burn line has some slight waves now, but nothing too concerning. I close out the second third with nothing in the nicotine department, no touch ups, no relights. Right out the gate the Undercrown Shade has consistently increased in body and is now tiptoeing on the very edge of medium/full where I’ll call it. The flavors are very similar to the second third, lots of cedar, honey, and cashew with the coffee and spice backing, and a bit of the pine coming back in the final third. It took me an hour and forty five minutes to take this cigar down to the nub. It burned real slow and finished nice and creamy with no harshness or extra heat. I never once had to reach for my lighter to touch up, or relight. 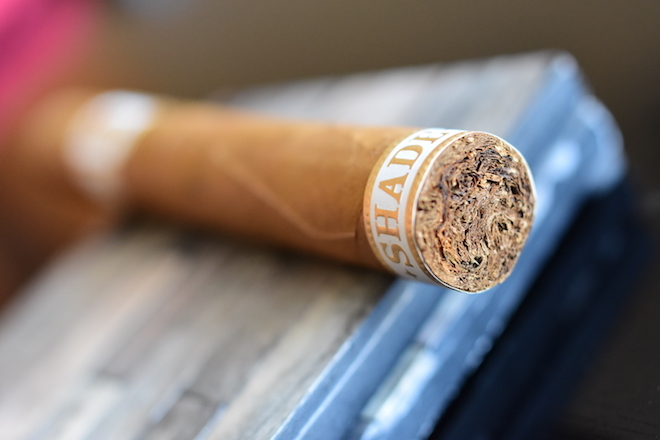 In the last few years some great Connecticut wrapped cigars have crashed into the cigar world, the Undercrown Shade is amongst the best. I was once very wary of Connecticut wrapped cigars, but the manufacturers have really done a bang up job creating blends utilizing this wrapper that remain bolder, yet balanced and the Undwecrown Shade is a perfect example of that. While it’s on the very mild side of medium/full, the cigar showcased some great flavors, a perfect burning experience, all at a great price. Not really much more you can ask for there. This is perfect for the novice smoker looking for a premium cigar that won’t overpower them with strength or body. And us seasoned smokers ca really appreciate the cigar as well. I’ll be sure to keep quite a few of these around for those times when I’m looking for something that delivers on flavors, but isn’t quite as strong as some of the other cigars in my rotation. The Spring Elixir leads with some great bitterness, soft hop, citrus, malt, and sweetness with a very light mouthfeel before finishing with even more sweetness, soft hop, and malt with a bit of grapefruit on the aftertaste. Raw hop increases as the beer warms. I love how this beer resembles a Belgian style IPA by really toning down the hop and increasing the bitterness and malt which made for an absolute perfect pairing with my Undercrown Shade. Again, bit thanks to Jeff for sending a few of these my way. Man, I need to pick up on a few of those Shades. So glad to hear that the Spring Elixir has held up well for you. My stock is depleted. 🙁 That glass looks great with beer in it, lol.